The 400 watt PDWR40-W speaker pair is completely waterproof. 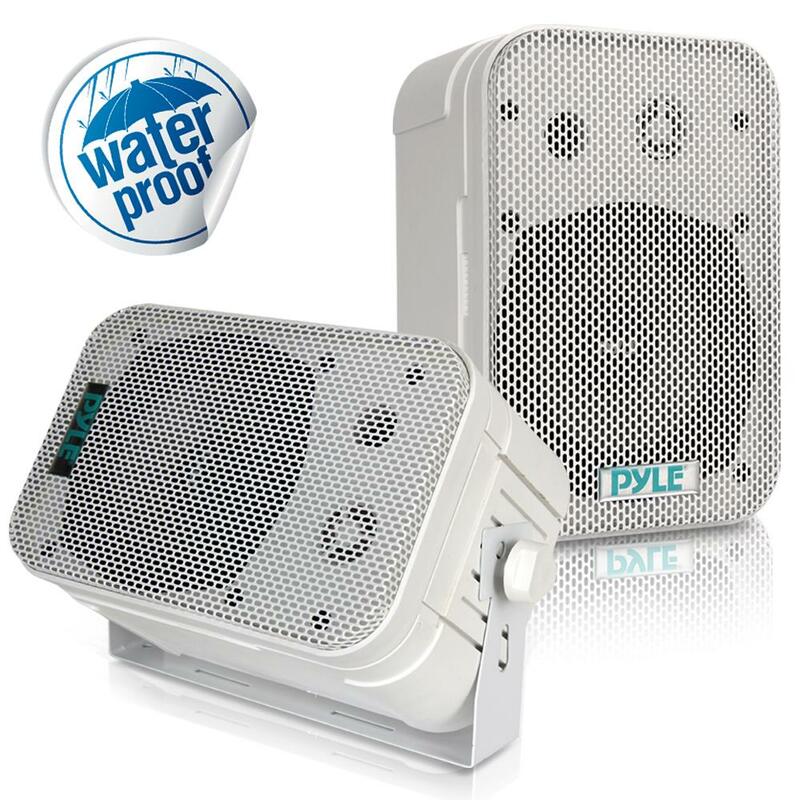 Constructed of heavy duty ASB it is an excellent choice for poolside, patio or marine mounting. 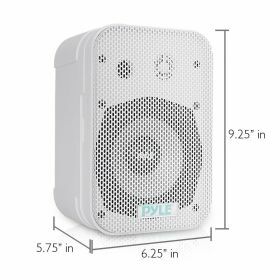 Features 5-1/4” aluminum injection cone woofer, 40 oz magnet structure, 1" high compliance Mylar tweeter, capacitor crossover network, bass reflex vent for added bass response and removable rustproof mesh grills. 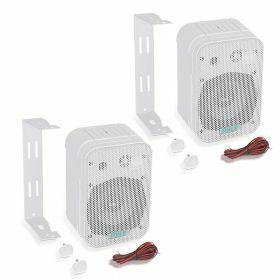 Comes with quick connect/disconnect speaker terminals with wire and spring loaded mounting brackets with side knobs. 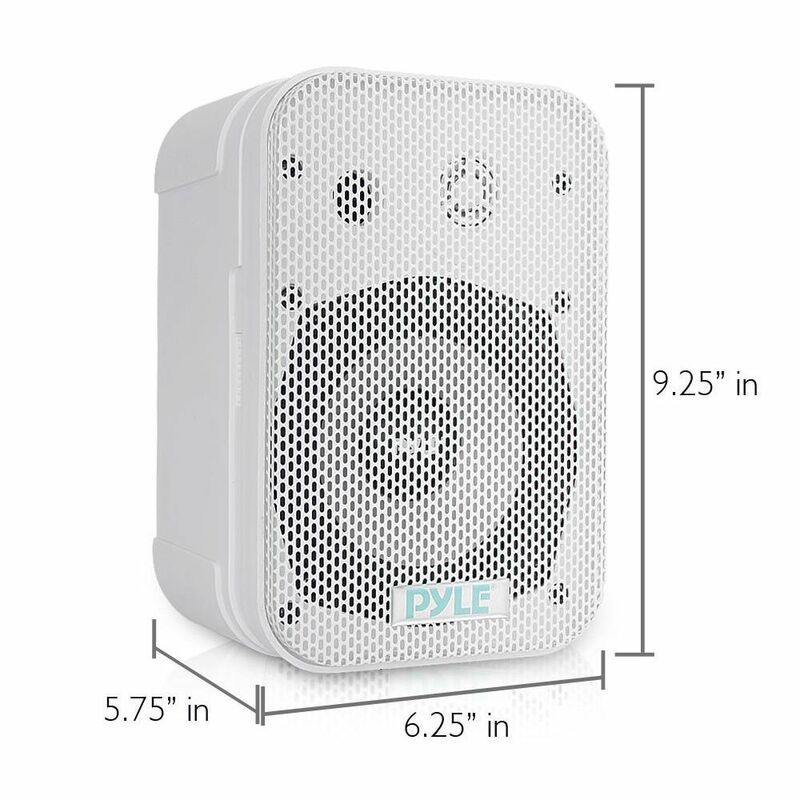 Dimensions of speaker outer case: 6.25''(W)x 9.25''(H) x 5.75''(D) In White.